The Interface of Law and Science! JuriSnippet: Why is it Always the Cows’ Fault? The Supreme Court heard oral arguments this week in the global-warming case American Electric Power v. Connecticut. I previously commented on American Power here, noting the unique logic applied by the Second Circuit in holding that the rather inventive nuisance theory relied on by the plaintiffs is not barred by the political-question doctrine. I will be stunned if the Supreme Court ultimately allows the case to proceed, especially after considering the issues raised during oral argument. [Y]ou’re lumping them [the power companies] all together. Suppose you lump together all the cows in the country. Would … that allow you to sue all those farmers? I mean, don’t you have to do it defendant by defendant? … Cow by cow, or at least farm by farm? Cows are potential culprits because they release methane as a byproduct of their digestive processes. More seriously, the more likely fatal concern for the case — one that was raised by several justices in different ways — is whether a single district-court judge has the power to usurp the regulatory activity of the entire Environmental Protection Agency. To my mind, litigation is a bizarre way to address the complex issue of climate change where we are all both offenders and victims. Regulatory processes, which better allow for the contributions of many minds in figuring out how to balance the need to reduce hydrocarbon emissions within the structure of national and global economies, are much better suited to the issue. But I still can’t help but wonder: whatever happened to blaming ducks for acid rain? A transcript of the entire oral argument can be found here. What is the Army Doing with your Baby’s Blood? Like many, I used to love watching The X-Files. The appeal of the show was not just the intricacy of the plot, which had seemingly endless layers of conspiracy, but was also because of the clever way in which factual information was interleaved with fiction, almost making me “want to believe.” One of the most memorable scenes occurs in the show’s third season in an episode titled “Paper Clip,” an obvious reference to the post- World War II “Operation Paper Clip” program by the Office of Strategic Services to sanitize the histories of Nazi scientists so that they could obtain security clearances in the United States. 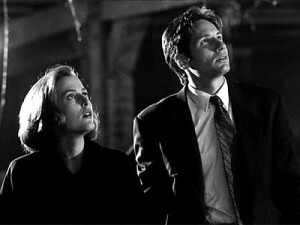 Mulder and Scully find themselves in an abandoned mine in West Virginia. The cavern is filled with filing cabinets, housing “lots and lots of files,” as Scully so artfully described it. Inside the cabinets are smallpox vaccination records and tissue samples collected as part of the Smallpox Eradication Program, creating a comprehensive genetic database for every man, woman, and child born since the 1950’s. It was creepy. And it made me think about the scar I have on my left shoulder from my own smallpox vaccination. It is hard not to be reminded of that X-Files episode when reading the complaint in the case of Jeffrey Higgins v. Texas Department of State Health Services. Filed at the end of 2010, the case relates not to smallpox vaccination but to newborn blood screening. In an effort to aid parents in the identification of genetic disease of their newborn child, every state in the United States operates a newborn screening program, and many other countries have similar programs. Such programs began in the late 1960’s and have been expanded over the decades so that virtually all of the 4,000,000 infants born in the United States each year have their heel pricked to collect a few drops of blood around the second or third day of life. Exceptions are rare. The screening is valuable and provides parents with important medical information that may allow infants born with genetic conditions to have those conditions addressed right from the beginning of their lives. But it is not much of a stretch to understand why medical researchers might have a broader interest in the collection of these samples. Rather than being concerned with a single infant’s condition, the availability of a comprehensive database of newborn blood samples would allow a wide variety of studies to be conducted, looking at patterns of disease that could have profound implications for addressing public-health objectives. 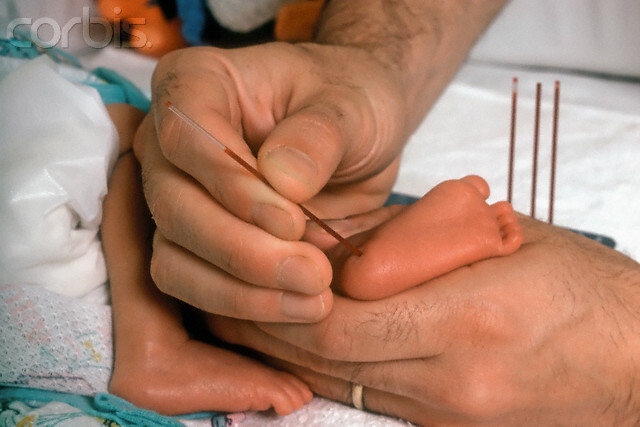 Indeed, in a report published this week in the journal Pediatrics, a copy of which can be found here (subscription required), the authors note the increasing research interest in newborn blood samples. A contract awarded by the National Institutes of Health in 2009 was specifically to develop a “repository of dried bloodspots that is either virtual or physical and comprised of those stored by state newborn screening programs and other resources.” There are certainly positive objectives that could only be reached with access to such blood databases. But the problem is that, in the same way that I found Mulder and Scully’s discovery creepy, many people are uncomfortable having their children’s blood stored in a government database. This discomfort is justified. There are currently few laws that limit the type of research that may be conducted and most states have no requirement to notify parents that the blood samples may be retained and used for other purposes than the screening of their newborn children. It’s probably fair to say that most never even considered what happened to the blood after collection. The Higgins case has its origins in an earlier case filed in 2009 when five families sued the Texas Department of State Health Services for the unauthorized storage and use of newborn blood spots. A settlement was negotiated in which Texas agreed to destroy some 5,000,000 newborn blood samples that had been collected and retained since 2002. The Texas legislature also acted — not to limit retention of samples but to provide express government authorization for future samples to be retained. Higgins was filed when it was later revealed that about 8800 samples had been turned over to an Armed Forces laboratory as part of an effort to build a national mitochondrial DNA registry. The stated purpose of the database is forensic, namely to provide a tool by which missing persons may be identified and to aid in the resolution of other difficult cases. The complaint in Higgins, a copy of which can be found here, alleges that Texas has acted deceptively: “Defendants have knowingly, deceptively, routinely, unlawfully and without the knowledge or consent of the infants’ parents, sold, traded, bartered, and distributed blood samples … to private research companies, government agencies, and other third parties.” A report published by The Texas Tribune that can be found here seems to confirm that records now released by the state “show an effort to limit the public’s knowledge of aspects of the newborn blood program, and to manage the debate around it.” The Tribune skeptically describes “oversights” in response to its requests for information, a pattern of suppressing disclosure about activities related to the blood program, and efforts to “plant” information with sympathetic lawmakers. I have no doubt that blood databases such as are envisaged have the potential for enormous public good by allowing researchers access to a body of information that is nowhere else available. But the privacy concerns are obvious. Of course people weigh these countervailing issues differently, but the only way to settle the tension between them is by discussing them openly and candidly. One benefit of cases like the one in Texas (and a similar one that failed in Minnesota in 2009) is that public visibility over blood programs is increasing so that that discussion can take place. It is by now well known that human beings are biologically programmed to have shifts in their circadian rhythms during the teen years, resulting in teenagers being most alert during the evenings. Yet we persist in forcing them to conform to a more adult daily pattern. Suggestions to start school classes later in the day for that age group have often been ignored, even though the scientific evidence is clear that it would result in improved learning by better accommodating their natural biological patterns. A study published last week in the Journal of Clinical Sleep Medicine that can be found here (subscription required) now shows that teenaged drivers have higher accident rates earlier in the morning, also attributed to forcing them to adopt a daily pattern that is biologically unnatural. It is worth highlighting this research yet again: sleep deprivation in teens has been linked not only to moodiness, irritability, and learning disadvantages but also to behavioral problems that are a consequence of attempting to deal with the deprivation, notably the excessive use of stimulants to stay awake during the day and the use of alcohol to fall asleep at night. Moving school start times later in at least Minnesota, Massachusetts, and Kentucky have resulted in identifiable improvements in student punctuality and efficiency as well as a reduction in behavioral problems. It was 50 years ago today that the 108-minute orbital flight of Yuri Gagarin ushered in the modern space era. On April 12, 1961, the 27-year old Gagarin made his way in the early morning to the Baikonur Cosmodrome in what is now Kazakhstan. The launch pad from which he took off in the rocket that carried the single-man Vostok 1 spacecraft remains in use today: the latest crew of the International Space Station was launched from the same site last week, and to this day cosmonauts ritually stop on the way to “take a leak,” just as Gagarin did that morning. Gagarin completed a single orbit in his spacecraft before returning to Earth, ejecting himself from the craft at an altitude of about 4 miles and returning to land by parachute. 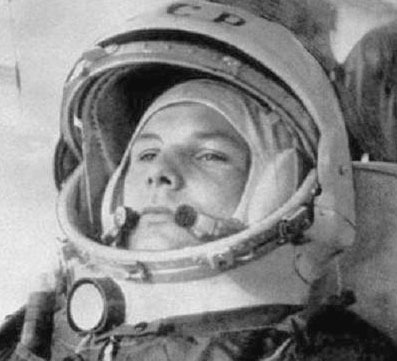 It was only a few years later, in 1968, that Gagarin would die in a routine training accident, shortly after he had been scheduled for a second mission into space. The launching of the “space race” is one that drew humanity together in a time when the world was plagued by the political divisions of the cold war. To be sure, there was competition between Americans and Soviets in reaching landmark achievements in the exploration of space, but the world also saw the accomplishments of Gagarin, Armstrong, and others more majestically as the accomplishments of Man. Many of my personal friends were influenced to pursue careers in astronomy and physics because of the excitement of exploration those role models exemplified. And it is with a certain sadness that they note that it has been almost 40 years (December 19, 1972) since a human being walked on the surface of the Moon. Like all things, the nature of Man’s relationship with space has changed, as perhaps most iconically exemplified at the moment by the planned termination of the U.S. Space Shuttle program. Today, the most pressing concerns for outer space are not its exploration as much as they are its commercial uses. There are the numerous satellites that have been placed in orbit over the years to provide telecommunications services, resulting in the need to manufacture uplink and downlink terminals, transponders, mobile satellite telephone units, direct-to-home receivers, and other components in addition to the satellites themselves. There is the use of satellite imagery in the fields of agriculture, geology, forestry, biodiversity conservation, military intelligence, and others, as exemplified by the GeoEye, DigitalGlobe, Spot Image, RapidEye, and ImageSat International projects. There are the proliferation of satellite navigation systems in the form of global positioning systems in the United States, and the development of similar systems in Russia (GLONASS), China (Compass), and Europe (Galileo). There is the current development of high-altitude platforms, which are quasi-stationary aircraft that may be deployed at altitudes of 17 – 22 km to provide services for several years. There are even examples of space tourism as exemplified by Dennis Tito’s tourist flight to the International Space Station in 2001; several companies are now planning “economical” suborbital flights to altitudes of some 100 – 160 km so that tourists can experience the weightlessness and striking views of being in outer space. But where is outer space exactly? The question is not an idle one and can have numerous effects because it defines what law is applicable: is it the law as embodied in one of the five U.N. treaties related to space or is it a national aviation or other law of the sovereign territory “below” the relevant location? Historically, the property law was deceptively simple: “Cuius est solum, eius est usque ad coelum et ad inferos” (“the owner of the land owns everything up to the sky and down to the center of the earth”). The simple idea that each of us owns all of the airspace above our homes is a quaint one but hopelessly unrealistic in modern times. As a principle of private ownership, usque ad coelum was soundly rejected by the U.S. Supreme Court in United States v. Causby when Thomas Lee Causby complained that flights of military aircraft at an altitude of 83 feet to a nearby Greensboro airport during World War II were so frightening to his chickens that he was forced to abandon his farm business. The Supreme Court held that the airspace was a “public highway,” and that while a landowner might be entitled to compensation from the government, he has no right to prevent use of the airspace. A copy of the decision can be found here. The doctrine retains relevance in the form of national rights. The 1944 Chicago Convention on International Civil Aviation asserts that “[e]very state has complete and exclusive sovereignty over airspace above its territory,” leading on occasion to international disputes when aircraft intentionally or accidentally enter another country’s airspace. A copy of the Convention can be found here. So far, there is no internationally recognized limit where national airspace ends and outer space begins. When the topic has come up in past international discussions, it has generally been decided that there was no current need for a hard definition. Indeed, the topic was again one focus of the 50th session of the Legal Subcommittee of the U.N.’s Committee on the Peaceful Uses of Outer Space last week. During that session a number of potential ways of defining outer space were considered, including both physical definitions and functional definitions. The various definitions that have been floated over the years appear to be converging around an altitude of 100 km, particularly at the von Kármán line where the Earth’s atmosphere becomes too thin for aeronautical purposes. It is at the von Kármán line that a vehicle would have to travel faster than orbital velocity to derive adequate aerodynamic lift from the atmosphere to support itself. It is worth noting that even at altitudes far greater than 100 km, there are already disputes. The geostationary orbit has a period equal to the Earth’s rotational period so that satellites placed in that orbit appear stationary relative to the Earth. It occurs directly above the geographic equator at about 36,000 km. 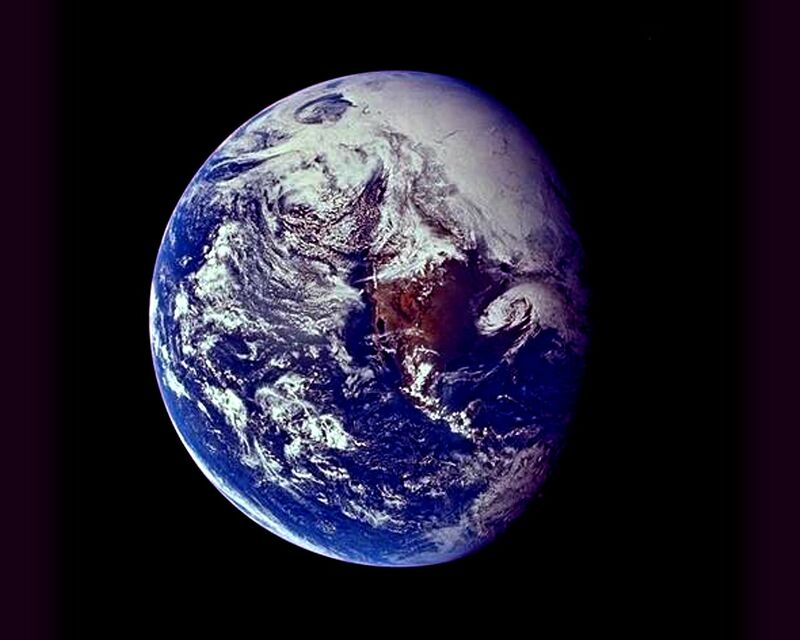 In 1976, eight countries through which the equator passes (Brazil, Colombia, Ecuador, Indonesia, Congo, Kenya, Uganda, and Zaire) signed the Bogota Declaration to assert their claim that the geostationary orbit is a “scarce national resource” that is not a part of outer space. Since the Declaration was signed, other equatorial nations have asserted claims of ownership to their overhead geostationary arcs. Thus far, the Declaration has been ignored by nations wishing to place satellites in the geostationary orbit, and while the issue of the Bogota Declaration is repeatedly discussed at the U.N., it has been given no legal recognition. A copy of the Declaration may be found here. Even though only a handful of humans have been in outer space, it has always and still holds a fascination for us. Just as we do, our ancient ancestors looked up at the sky — the Sun, the Moon, the stars — and saw reflections of every aspect of our humanity, whether it be romance or war. To me, the legal issues of how we deal with outer space are, in their own way, just as fascinating as the scientific ones. In Massachusetts v. Environmental Protection Agency, a copy of which can be found here, the U.S. Supreme Court ruled in 2007 that greenhouse gases are “pollutants” that may be regulated by the EPA under the Clean Air Act. As a result, the EPA has been issuing regulatory actions to control greenhouse-gas emissions in the United States, prompting some legislators to voice concern that their economic impacts have not been adequately considered. Information about those initiatives can be found here. It is important not to lose sight of just how significant a component these initiatives are in the disagreement that may lead to a partial shutdown of the U.S. government. Earlier this week, the House of Representatives voted to restrict regulation of greenhouse gases by the EPA, but the effort was defeated in the Senate. The fallback plan — to include riders to the spending bill that would block funding for EPA regulations limiting greenhouse-gas emissions — appears also to be failing. But things continue to change by the minute in these very fluid negotiations. One thing is certain: no matter what the specific parameters of a compromise on the spending bill, this debate is not going away. How many species of penguins are there?